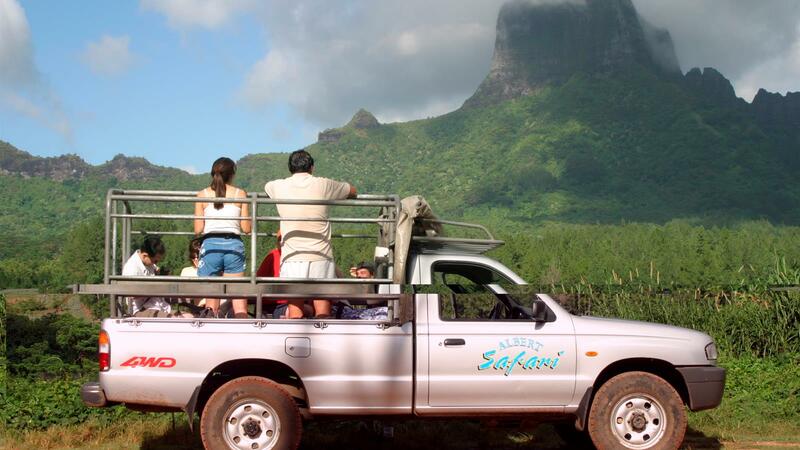 The Tupuna Mountain Safari offers you an adventurous ride around the island of Bora Bora on our 4X4 vehicle. During the tour you will visit the 3 villages of the island as well as 4 viewpoints (depending on weather conditions) where you will get a splendid view over the lagoon. Along the way an English-speaking local guide will show you a historical site with the remains of the cannons of the US Army from World War II where you will learn about the role of the American military forces on the island. 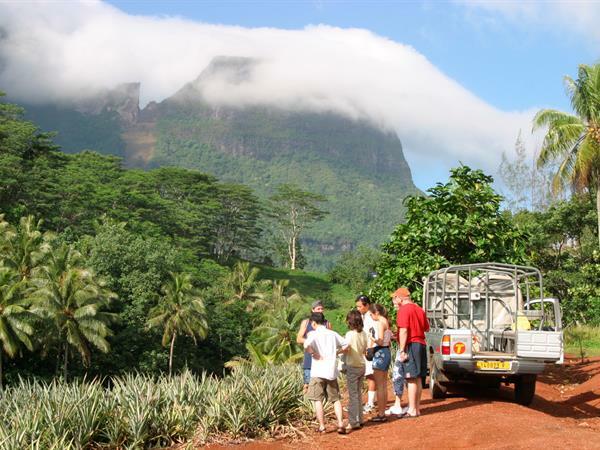 Our experienced guide will inform you not only on the tradition, culture and history, but also on the industry, geography, fauna and flora of French Polynesia. A pleasant fruit-tasting and an informative visit to the only pearl farm on Bora Bora will also be included in the tour. Join us and discover Bora Bora from land!